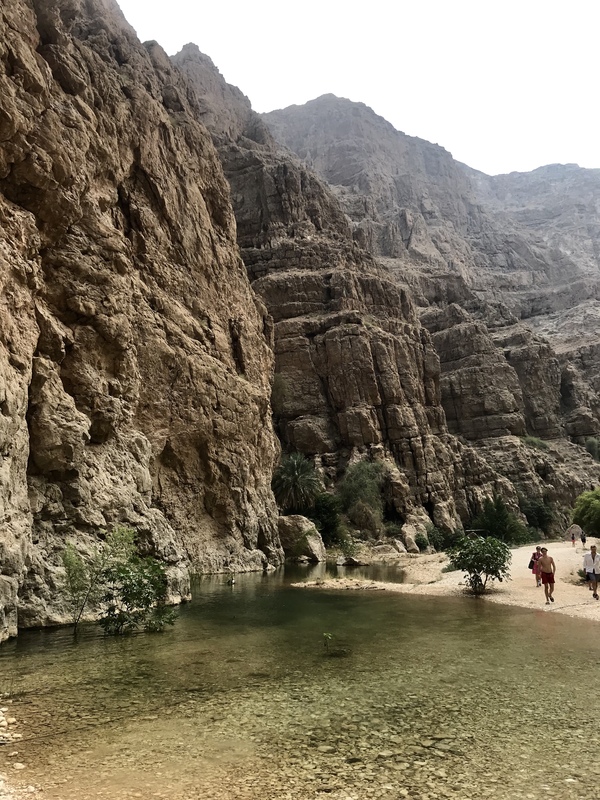 We are finally in prime wadi hike season. 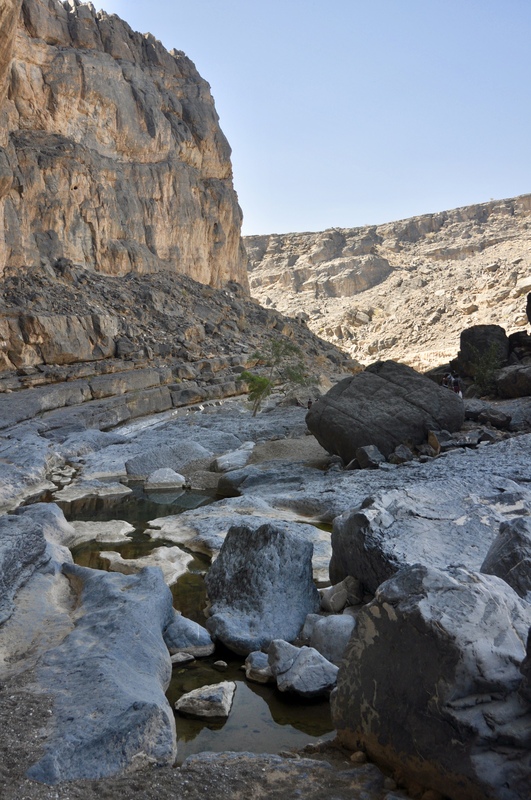 Some people are able to do wadi hikes all year long, but I am not one of them. I don’t handle physical activity in the heat very well and I don’t particularly like being really hot; my face turns bright red, my body overheats, and it isn’t pretty. But now that the soaring temperatures of the summer have passed, it’s time for some hiking! 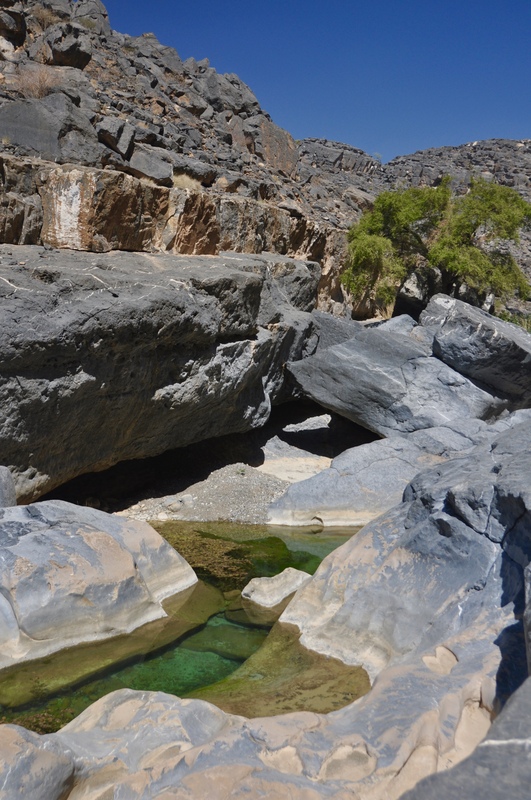 Wadi Tiwi is the perfect wadi if you’re looking for a good balance of swimming, scrambling over rocks, and hiking. 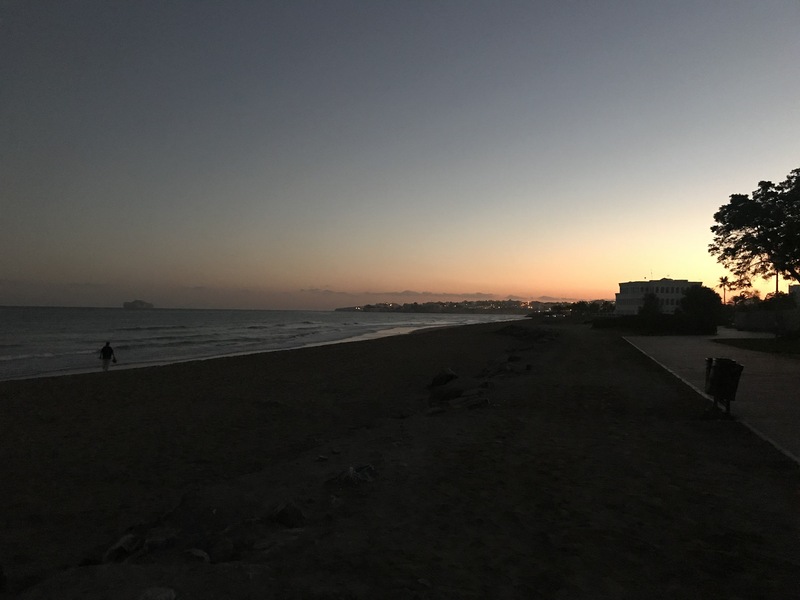 It’s only two and a half hours from Muscat, and you can easily do the whole hike and return before sundown. The hike takes about three to four hours round-trip, although it can be longer if you stop for lunch, swimming, jumping off rocks, etc. It is physically challenging, but it won’t leave you feeling wrecked. I’d say it’s harder than Wadi Shab and Wadi Damm, but easier than Wadi Al Arbaeen. 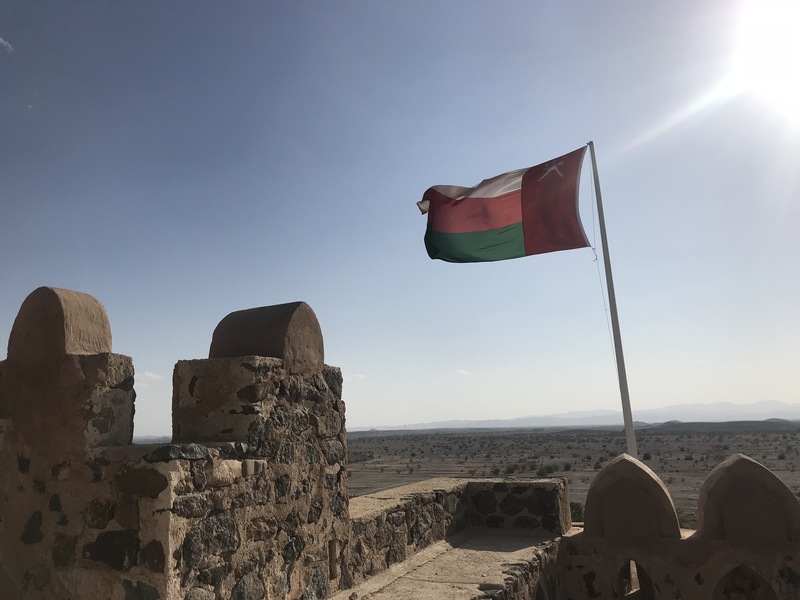 OmanTripper, one of my favorite resources for adventures in Oman, has an awesome post about Wadi Tiwi with lots of helpful info. The drive into the wadi takes about 30 minutes, and parts of it are really steep and narrow. At one point there was another vehicle coming the other way and we had to back up down the mountain to find a section of road wide enough for them to pass. If you do park someplace, make sure other vehicles can still get around you! The last section of the drive down to the trailhead (GPS: 22.7764288, 59.2247468) is definitely the steepest part of the drive and you need 4WD. From the trailhead, there’s a staircase to the left of the parking lot that you can follow down. From the bottom of the stairs, turn right and just follow the wadi! 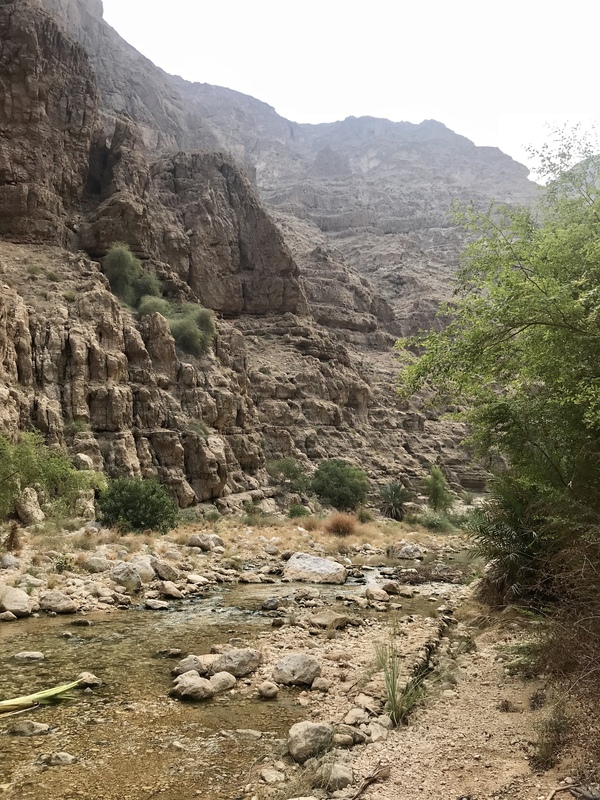 There is an easy gravel path to follow for a short distance, and once you start to hit some big boulders you’ll go up to the right, past a thorny tree, then back down to the wadi bed. Side note: there are lots of thorny trees and bushes on this hike, so watch out. Eventually you’ll cross the creek and start hiking along the other side. 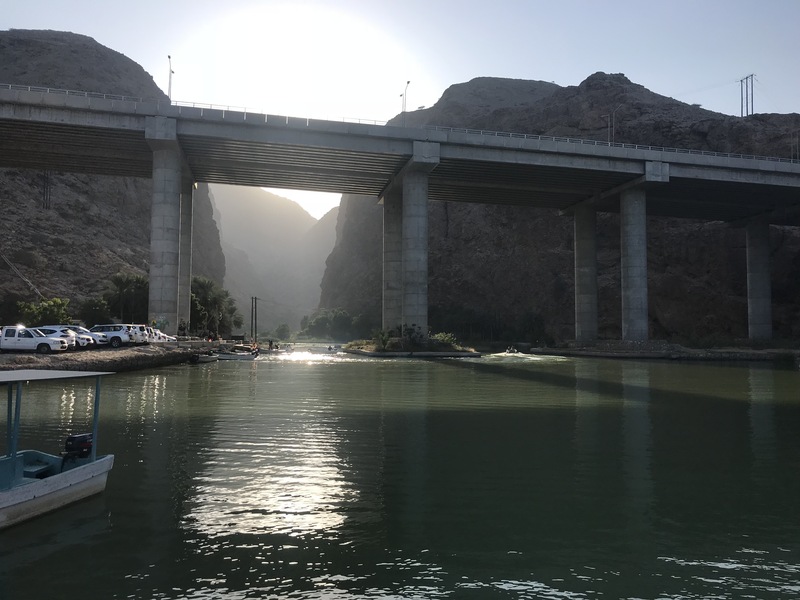 There’s a section where it looks like there’s no easy way to go, but if you look to the right along the wall of the wadi, there are 3 cement stairs. There’s another part where there’s a cairn marking an opening through some huge boulders that you can squeeze through. 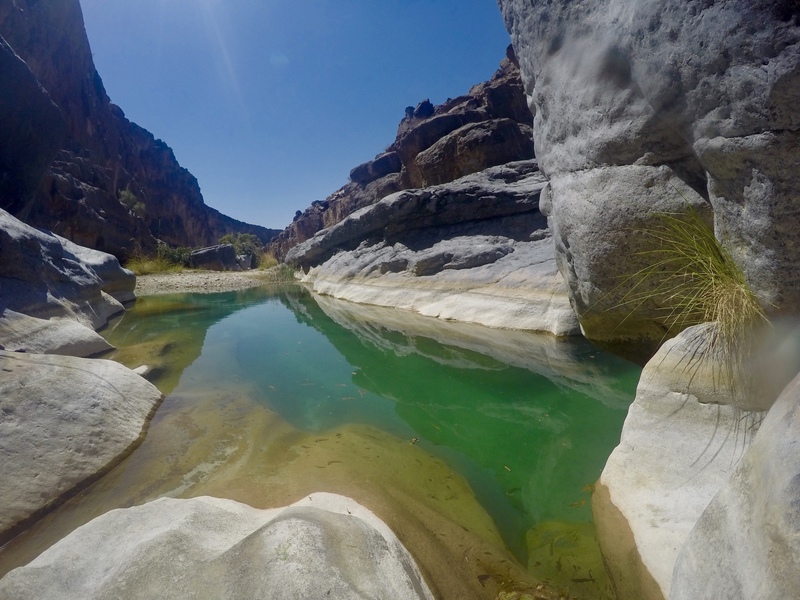 Other than that, there’s not a whole lot I can say about how to make your way through the wadi. Everyone’s strategy is different; mine is to try to use the water as much as possible and swim when I can rather than climb. But the fun part of any wadi is finding the best path! 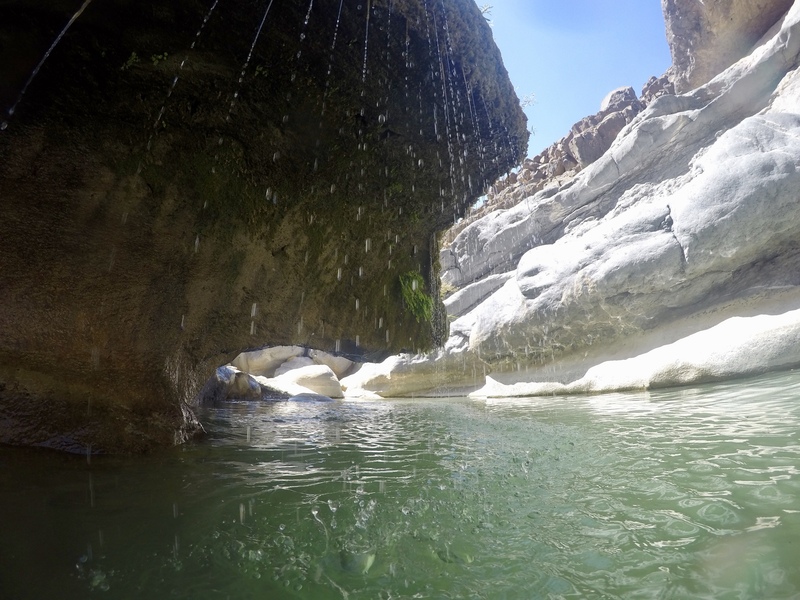 The shallow stream eventually gives way to large pools and boulders. Now the real fun begins! Swimming the pools and thick slimy algae. The water really is that color! You either swim through the water or figure out how the climb the rocks. I usually choose to swim. 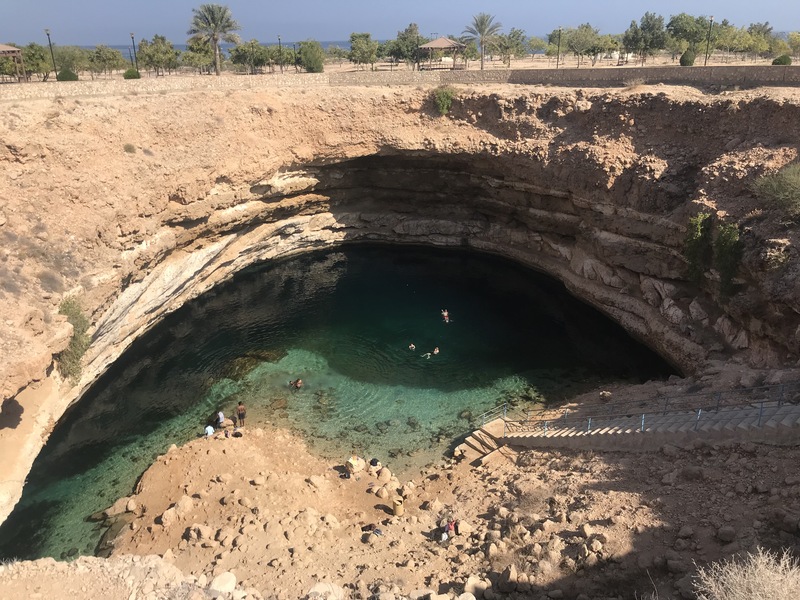 About 90 minutes in you’ll reach a beautiful spot at a large pool with jumping-off rocks and a nice flat area for a picnic. From here you can climb up the waterfall on the right and go further back into the wadi. Eventually you’ll reach a large-ish waterfall at which point you can’t really go any further unless you use the rope over on the left to climb up the rocks. If you’re a braver person that I am, you can climb up here, go through some date palm fields, and follow the road back to the car. I, however, with visions of compound fractures and bashed-in skulls, opted out of this route and chose to hike back the way we came to return to the parking lot. The folks that climbed up and followed the road got back to the car about 5 minutes before we did, so you don’t save much time by taking that route. 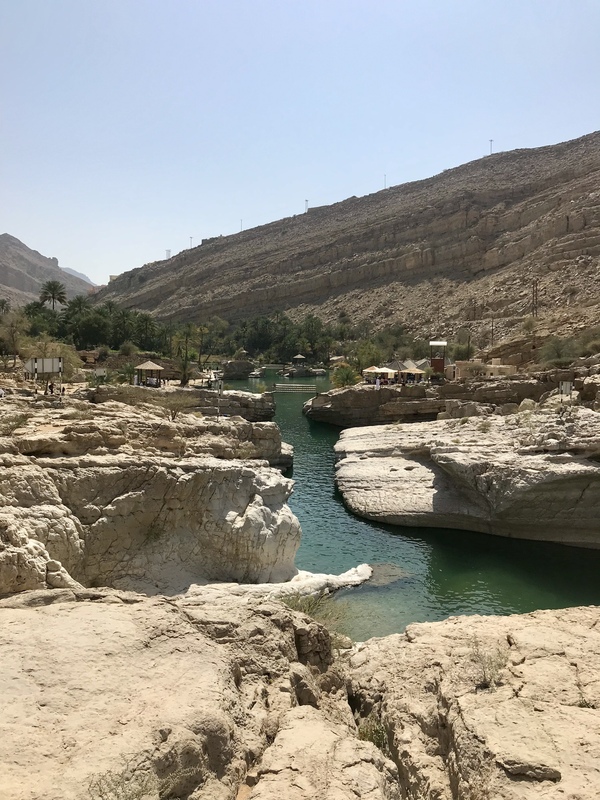 All things considered, we really enjoyed Wadi Tiwi. Just make sure that you bring plenty of sunscreen, water, snacks, and, of course, a camera! The best spot to stop for lunch and a leisurely swim. Plus jumping-off-rocks!